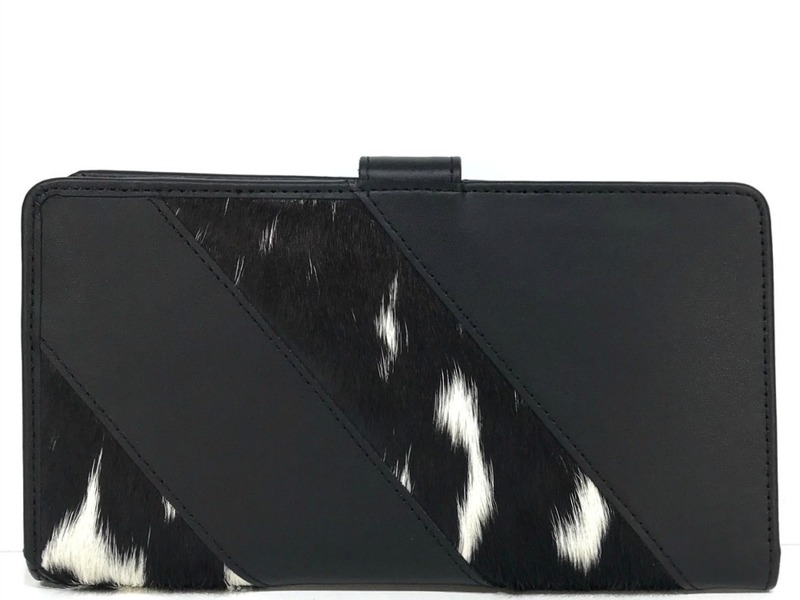 Statement genuine cowhide leather travel wallet featuring statement hair-on panels in natural black and white cowhide. 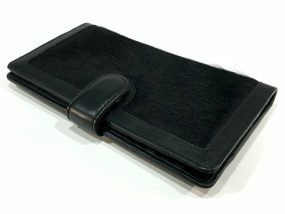 Black leather trim and interior with snap button closure. 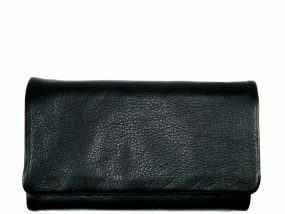 Roomy interior with 4 credit card pockets, 3 open pockets extending the length of the wallet, 2 open pockets for passport and boarding pass plus 1 snap button closure pocket. The perfect, stylish travel companion! 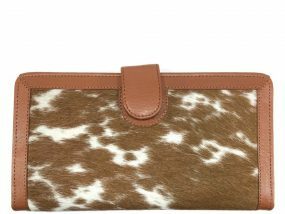 As cowhide is a natural product, this is a one off piece and has individual, unique characteristics and markings of the leather and hide…no two pieces will ever be the same. Nature’s natural markings are a feature of genuine leather. 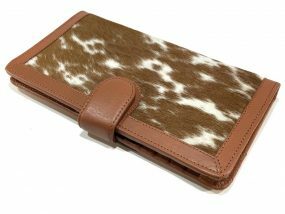 Stylish large style genuine cowhide leather wallet. Features statement hair-on panel in natural tan and white cowhide with tan leather trim and interior. 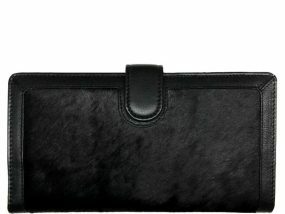 Complete zip around closure with heavy duty silver metal fittings.Extremely roomy! 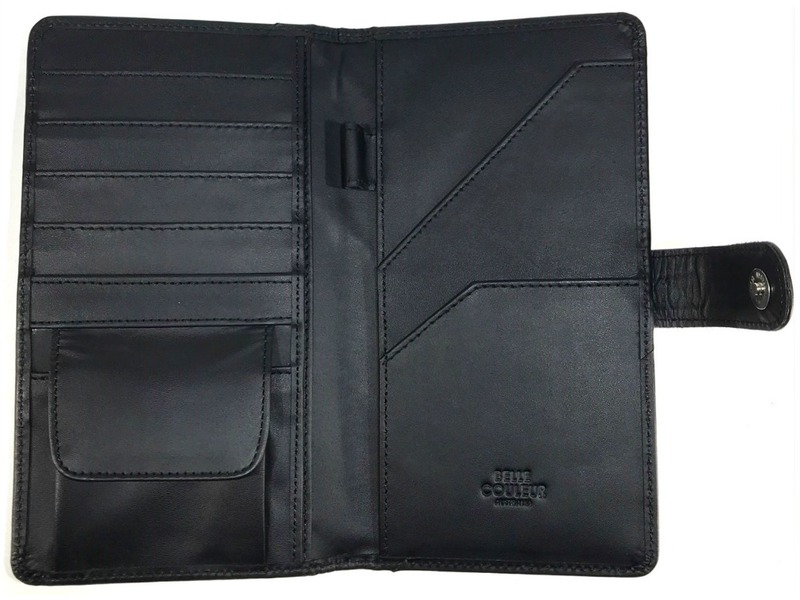 Features 16 card pockets, 2 currency pockets, 4 open compartments and a zip closure central pocket. Detachable leather wrist strap so can be held securely at the wrist. 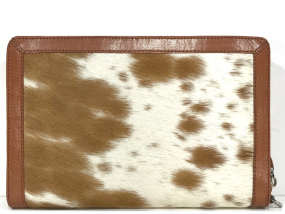 Stylish genuine cowhide leather wallet featuring statement hair-on panel in natural tan and white cowhide. Tan leather trim and interior with snap button closure. 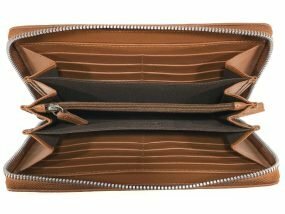 Roomy interior with 23 card pockets, 4 internal open pockets extending the length of the wallet plus 1 internal zipped pocket and 1 external zipped pocket both extending the length of the wallet. Stylish genuine cowhide leather wallet featuring statement hair-on panel in natural black cowhide. Black leather trim and interior with snap button closure. 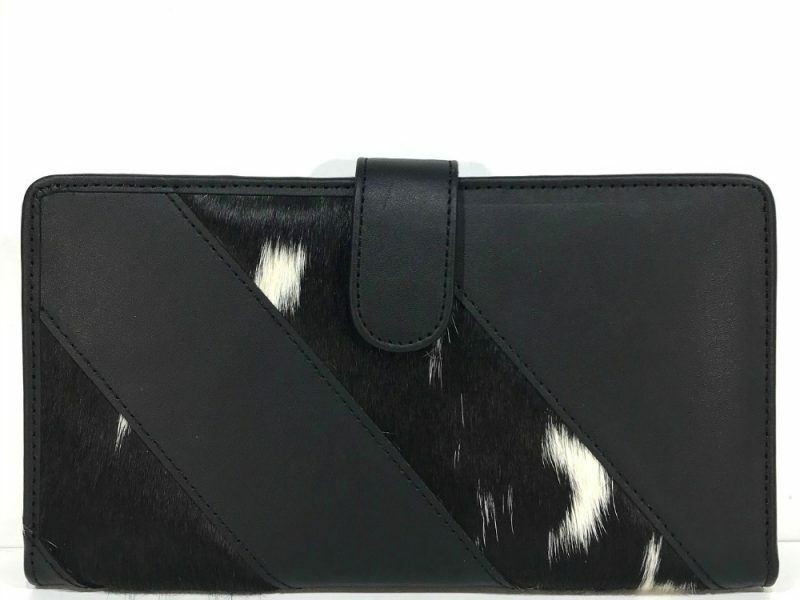 Roomy interior with 23 card pockets, 4 internal open pockets extending the length of the wallet plus 1 internal zipped pocket and 1 external zipped pocket both extending the length of the wallet. 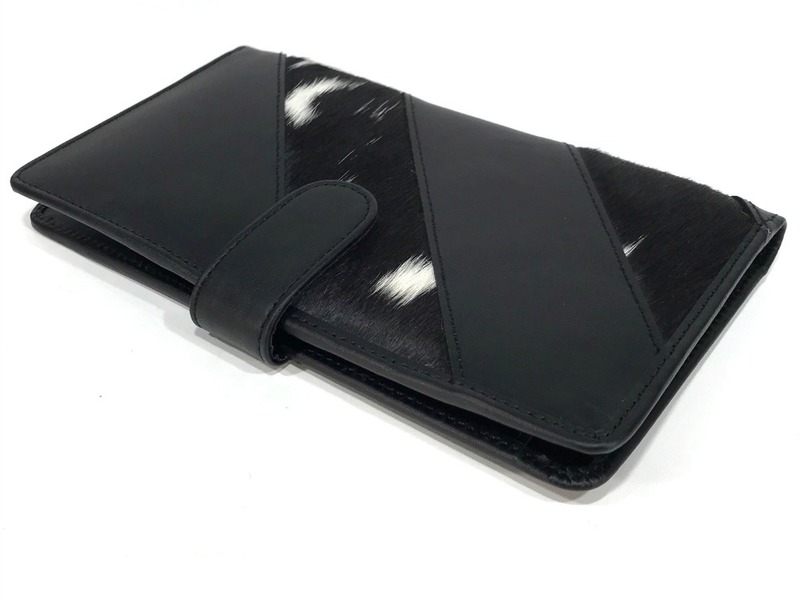 Tri-fold style wallet made with the softest cowhide leather. 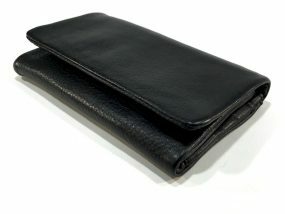 Classic black leather wallet.